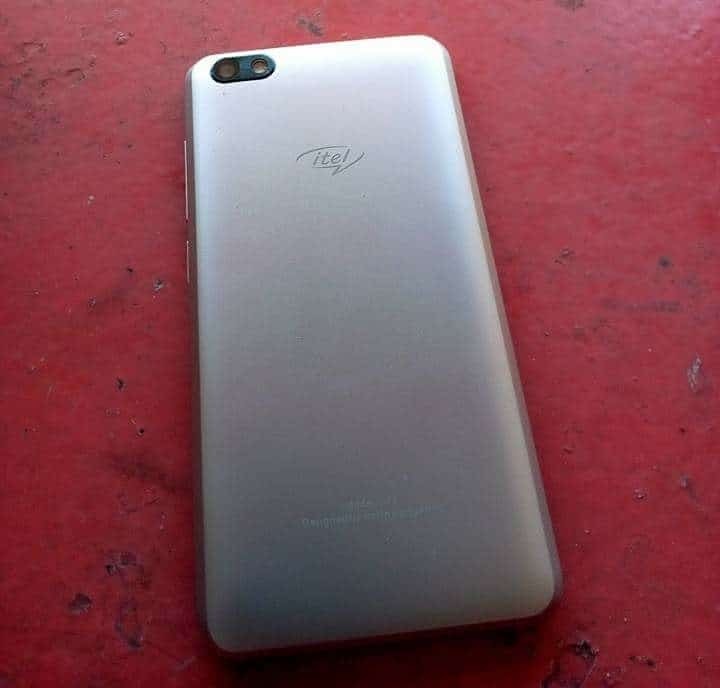 Itel A15 has been launched alongside the A32F and P32 budget-friendly smartphones. The A15 is the more affordable of the pack, coming with low-end specs and fits those on a tight budget. It runs on Android 8.1 Oreo Go Edition and has 8GB of storage space to accommodate your apps and files. You also get a 5-inch screen and a dual-LED flash for photography in low light environments. Lets find out more. 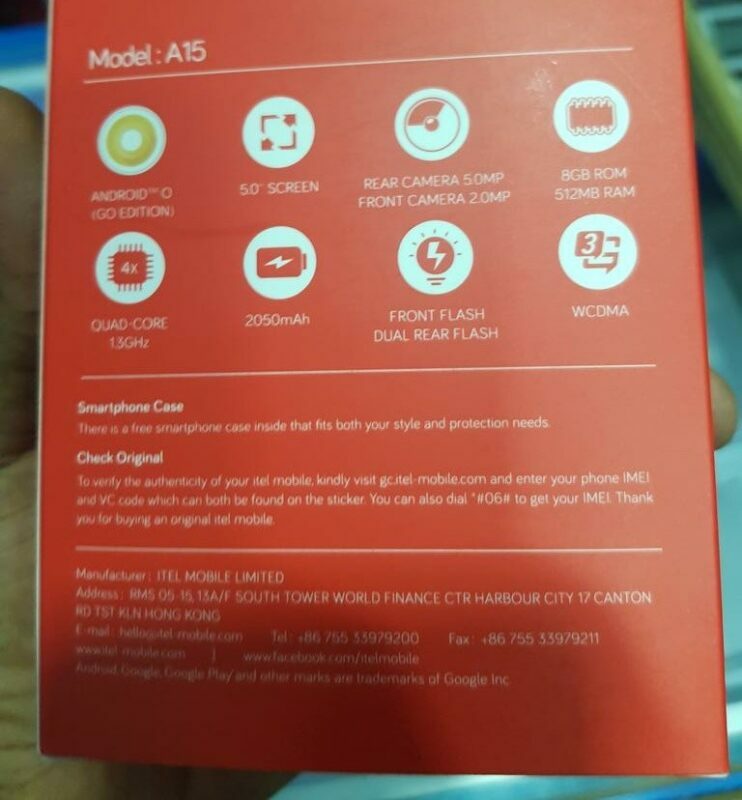 What is Itel A15 Price and Availability Status? 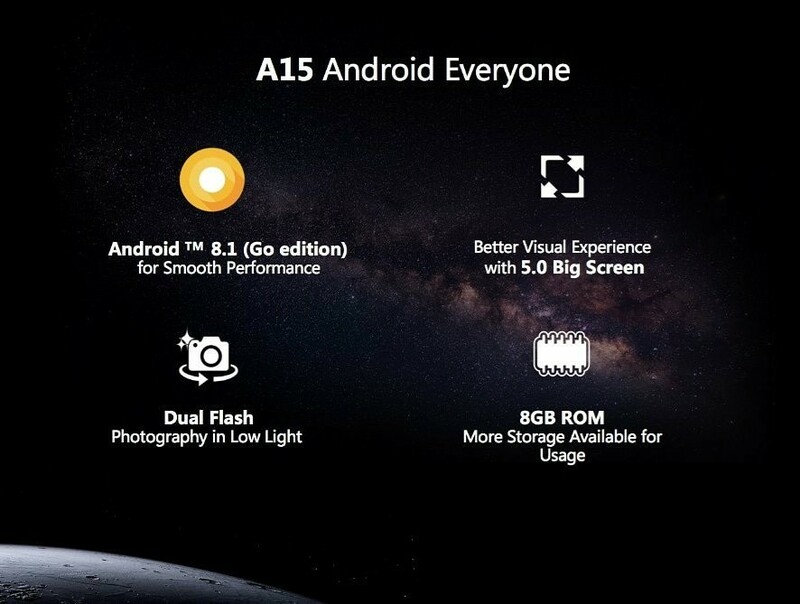 The A15 comes with a Plastic back cover that looks beautiful and appealing just like the other devices released by the company. The device doesn’t come with a any biometric access like a fingerprint scanner. Nonetheless, there’s PIN and password. The rear camera and dual-LED flash are horizontal at the top left corner. When you turn over to the sides, it measures about 8mm in thickness with the volume keys and power button in its usual position. It’s available on shopping stores in Gold and Black colors. This smartphone sports a normal 16:9 aspect ratio screen and it’s perfect for small screen lovers. You get the same amount of bezels just like on older phones, with the normal features at the top and bottom bezel. The MediaTek MT6580M chip which was built on a 28nm process technology is in control here. The chip has quad-core processor which clocks at a smooth speed of 1.3GHz, while the ARM Mali-T720 MP2 graphics processor clocks at 600MHz. There are two variants in terms of RAM space, one has 1GB RAM and a cheaper variant has 512MB. Both versions run on Android 8.1 Oreo Go Edition, so that shouldn’t be a problem. In terms of storage, you get 8GB of storage space and you can upgrade up to 32GB. It’s equipped with a rear 5MP camera that comes with a dual-LED flash and other Internal features like autofocus geo-tagging, touch focus etc. While the 2MP selfie camera comes with a front LED flash as well, this lets you take bright selfies in low light environments. Powering the Itel A15 is a 2050mAh non-removable Li-Ion battery with no fast charging technology. Without the fast charging feature, charging the battery from 0% to 100% might take up to 2.1 hours. 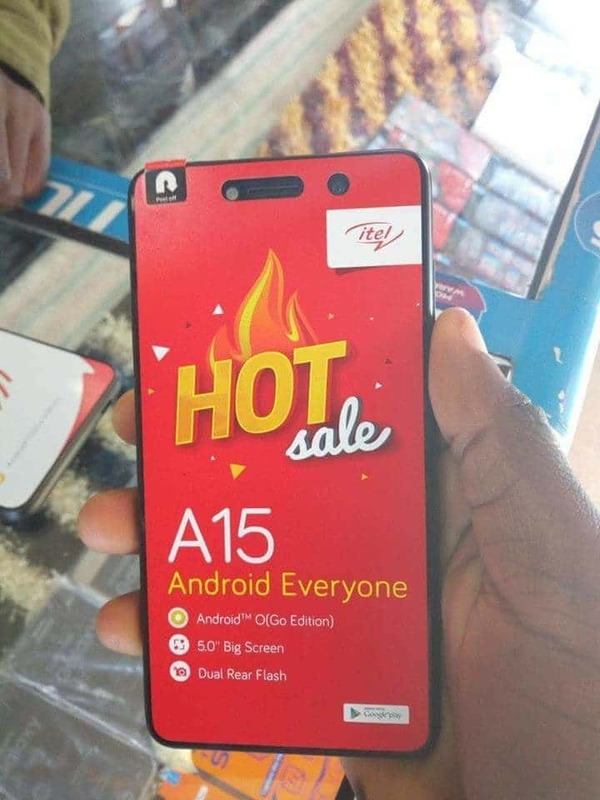 The Itel A15 is available on Shopping stores, starting from $59 (N15,000) to $79 (N25,000). 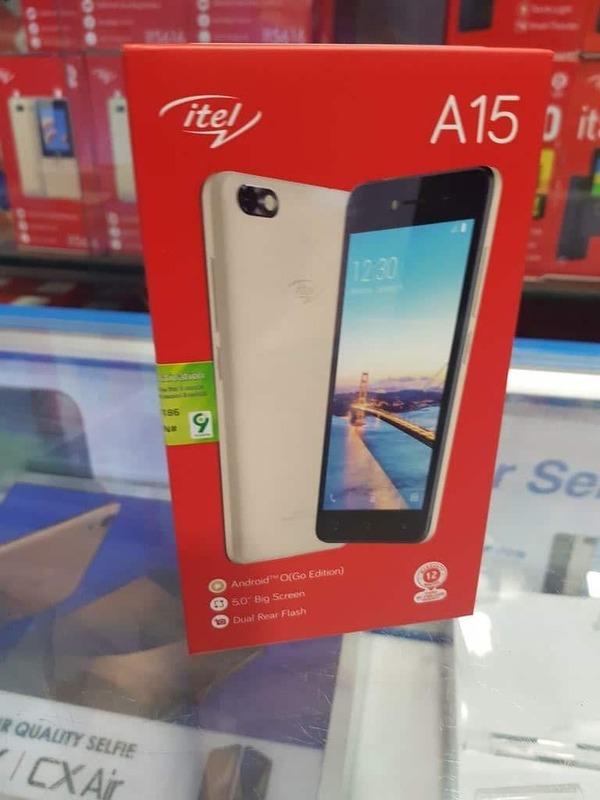 Click on the links above to view the latest Itel A15 price & availability on Shopping stores. 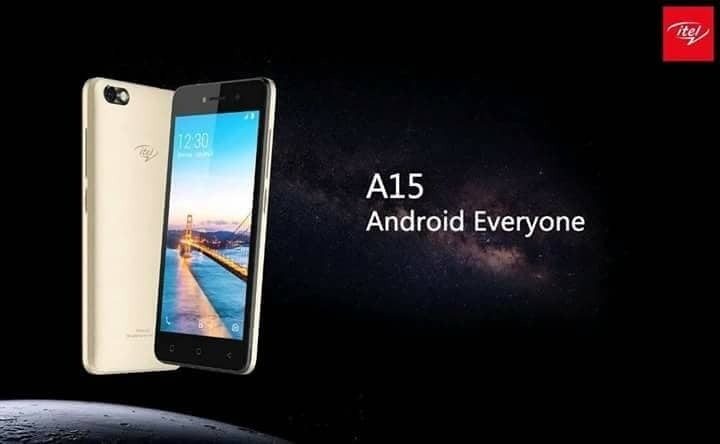 Itel A15 has been launched alongside the A32F and P32 budget-friendly smartphones. The A15 is the more affordable of the pack, coming with low-end specs and fits those on a tight budget. It runs on Android 8.1 Oreo Go Edition and has 8GB of storage space to accommodate your apps and files. You also get a 5-inch screen and a dual-LED flash for photography in low light environments. Why my phone itel hot a 15 don’t want to support WhatsApp?? Stupid and useless. Does not support GPS. Don’t buy it.